The apartment location was great with a splendid view to the mountains. We enjoyed the welcome sparkling wine from the host. Selbstversorger jedoch Brötchenservice. Alles im Haus ist sehr komfortabel. Skiraum mit eigenem Schrank. Lage zur Gondel perfekt. Manchmal etwas laut am Abend wenn die Skifahrer vom Apres-Ski vorbeikommen. Kann jedoch durch das schließen der Fenster ausgeblendet werden. Im Haus selbst ist es absolut ruhig. Die Ausstattung ist sehr gut. Sehr empfehlenswert. Prachtig. Zeer ruim. Luxueus. Groot terras. Perfect gelegen vlakbij liften. Zomerliftpas inbegrepen. Das Bett war super bequem.Die Einrichtung sehr geschmackvoll eingerichtet. Sehr schöne Badzimmer .Für uns war alles top. Sehr schön ausgestattete Zimmer und tolle Badezimmer, sehr gute Betten. Direkt neben den Bergbahnen gelegen. Sehr netter Empfang. Gerne wieder. Super Lage, moderne und saubere Wohnung, in allen Schlafzimmern ein TV, ausgestattet mit Handtüchern. 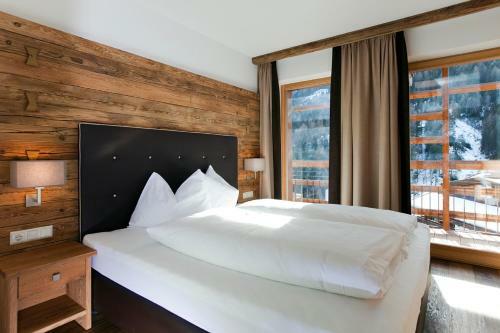 Lock in a great price for Serfaus Mountain Lodge – rated 9.6 by recent guests! Serfaus Mountain Lodge This rating is a reflection of how the property compares to the industry standard when it comes to price, facilities and services available. It's based on a self-evaluation by the property. Use this rating to help choose your stay! 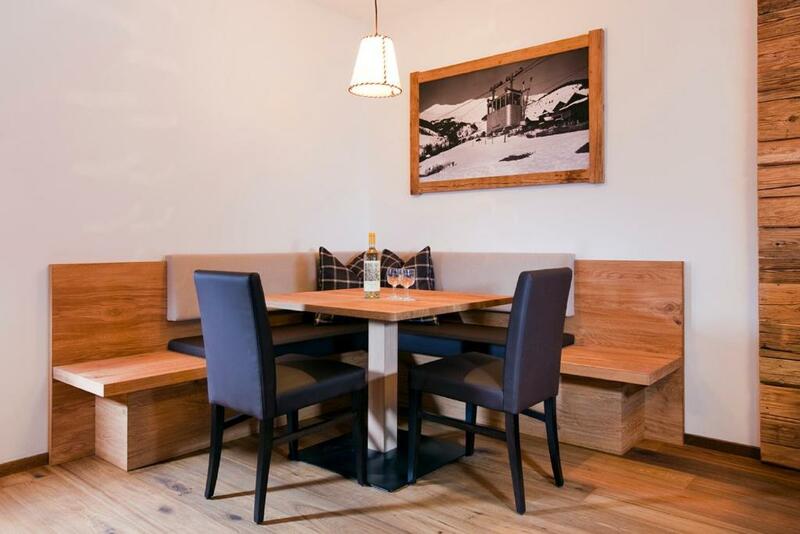 Located right at the Alpkopf, Pombardell and Sunliner cable cars, Serfaus Mountain Lodge offers you spacious apartments in modern Alpine style including an infrared cabin. Underground parking is available free of charge. A fully equipped kitchen including a dishwasher, a flat-screen TV with satellite channels and a stylish bathroom including an infrared cabin are further features of each apartment. There is also a ski storage room with a boot dryer. Fresh bread rolls can be delivered to your apartment on request. Within a 5-minute walk or a short metro ride you can reach the center of Serfaus with various restaurants. The Serfaus Mountain Lodge is located right in the heart of the Serfaus-Fiss-Ladis Ski Area. Cross-country skiing tracks start from the center of the village. In summer, the local outdoor pool is easily reachable by metro and the cable cars can be used free of charge. Bike rental is available on site. This is our guests' favorite part of Serfaus, according to independent reviews. This property also has one of the top-rated locations in Serfaus! Guests are happier about it compared to other properties in the area. This property is also rated for the best value in Serfaus! Guests are getting more for their money when compared to other properties in this city. 뀐 Located in the top-rated area in Serfaus, this property has an excellent location score of 10.0! 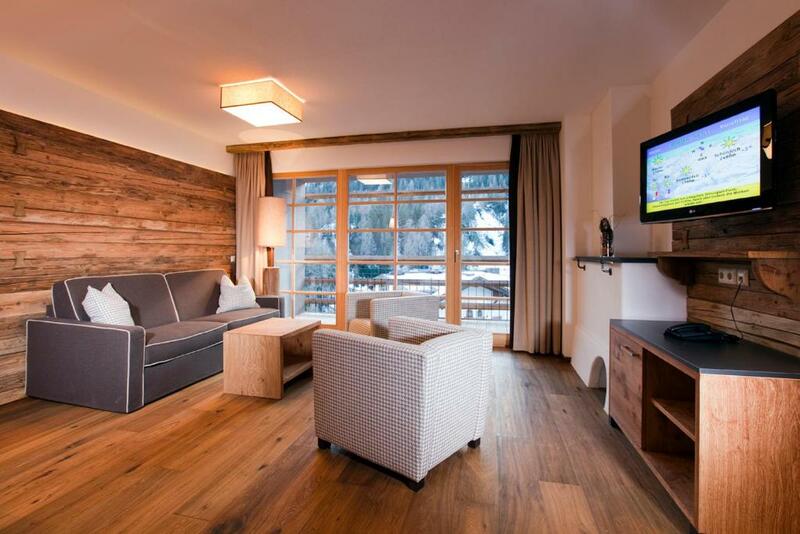 When would you like to stay at Serfaus Mountain Lodge? Modern Alpine-style apartment with a fully equipped kitchen including a dishwasher. Some have a balcony. Modern Alpine-style apartment with a balcony and a fully equipped kitchen including a dishwasher. 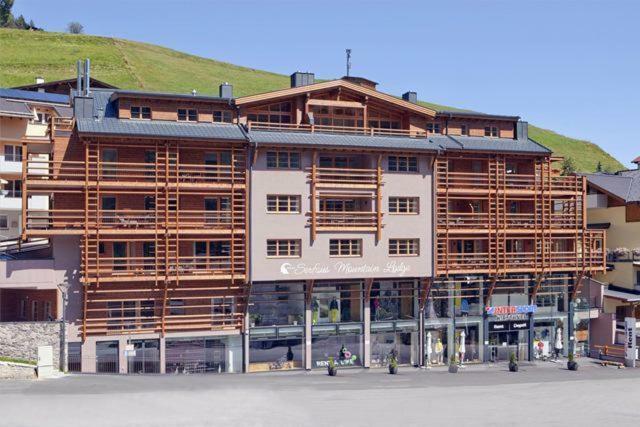 Modern Alpine-style apartment with a fully equipped kitchen including a dishwasher and 2 bathrooms. Modern Alpine-style apartment with a terrace including garden furniture, a fully equipped kitchen including a dishwasher and 4 bathrooms. House Rules Serfaus Mountain Lodge takes special requests – add in the next step! Serfaus Mountain Lodge accepts these cards and reserves the right to temporarily hold an amount prior to arrival.